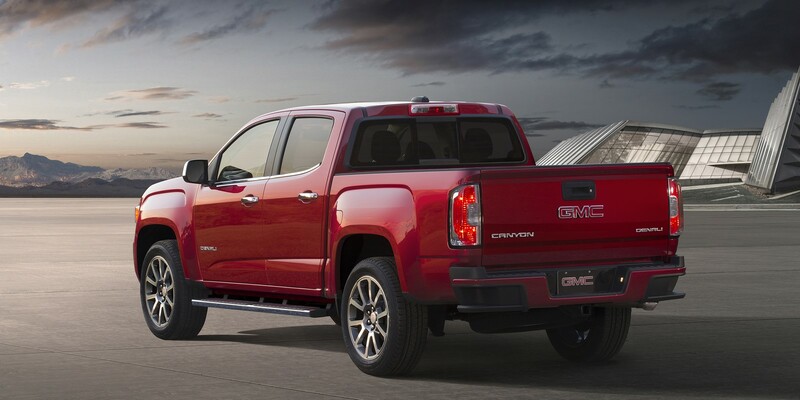 Η GMC παρουσίασε το MY2017 Canyon, που όπως το Chevrolet Colorado, έτσι και αυτό, διαθέτει πλέον έναν ολοκαίνουριο V6 κινητήρα βενζίνης που συνδυάζεται με ένα 8-τάχυτο αυτόματο κιβώτιο. Ο 3.6-λίτρων κινητήρας διαθέτει πλέον χρονισμό των βαλβίδων εισαγωγής και εξαγωγής, βελτιωμένο άμεσο ψεκασμό και για πρώτη φορά σύστημα απενεργοποίησης των κυλίνδρων (Active Fuel Management), όπου απενεργοποιεί δύο κυλίνδρους για να βελτιώσει την οικονομία καυσίμου. Το αποτέλεσμα είναι να αποδίδει 308 άλογα στις 6.800 σ.α.λ. και 373 Nm στις 4.000 σ.α.λ. 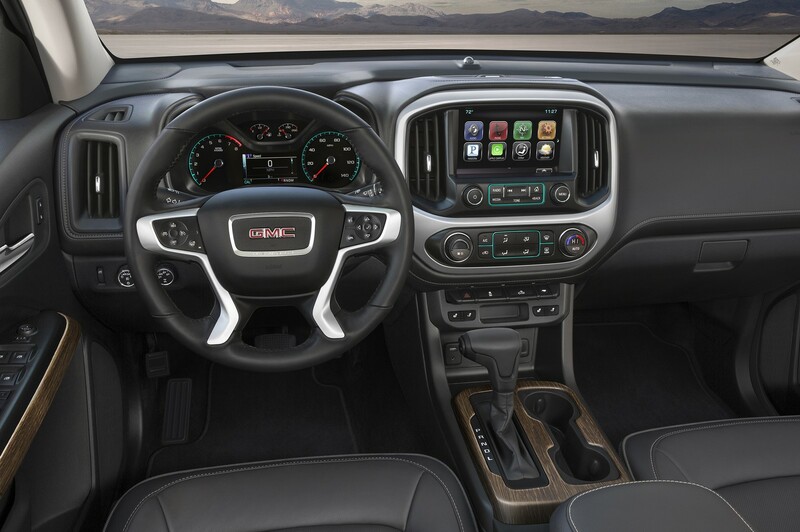 DETROIT – Building on the momentum of an 18-percent sales increase so far this year, GMC today announced a broader 2017 GMC Canyon lineup led by the new, range-topping Canyon Denali and new, off-road-inspired All Terrain X. 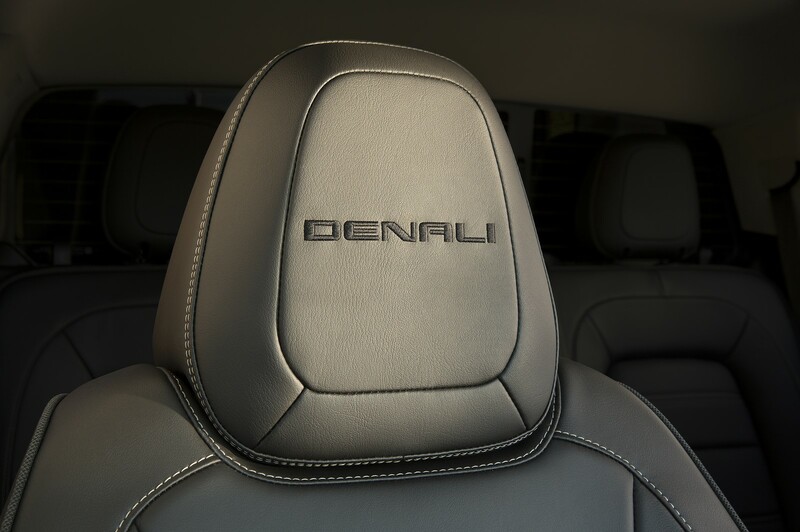 Like all GMC Denali models, the new Canyon Denali is distinguished by chrome exterior details and unique wheels, along with exclusive interior trim and content. It also features a new 3.6L V-6 engine that’s paired with a segment-first eight-speed automatic transmission. 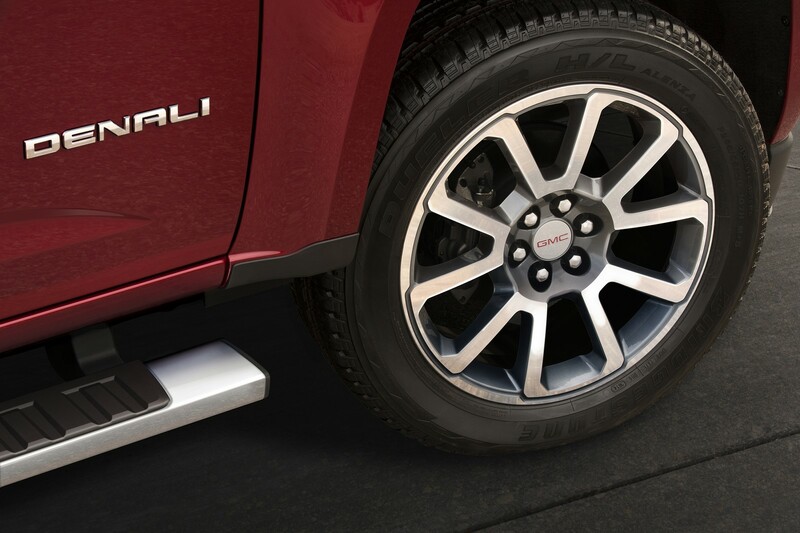 This new propulsion system is offered across the 2017 Canyon lineup, including the new All Terrain X package, which takes the popular All Terrain model farther down the trail, with Goodyear DuraTrac all-terrain tires, all-weather floor liners and more. 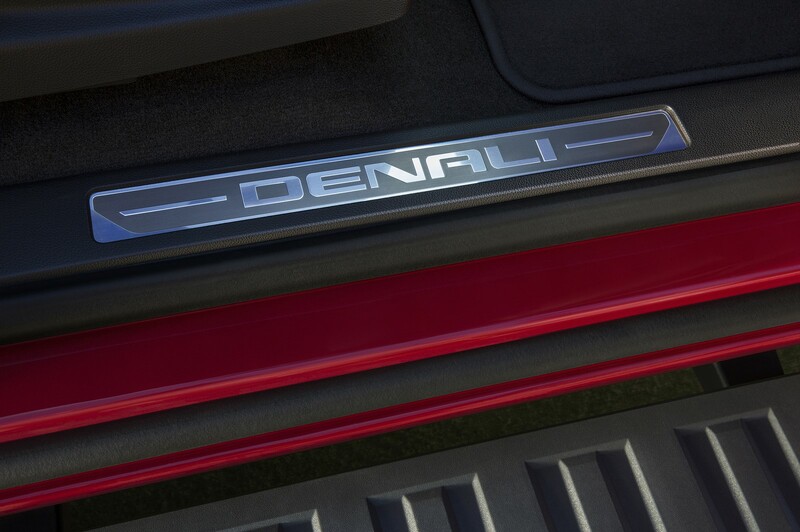 In addition to its Denali-signature chrome grille, the 2017 Canyon Denali features specific wheels — 20-inch ultra-bright machined aluminum with painted accents — along with tubular chrome assist steps, polished exhaust tip (V-6 only) and spray-on bedliner. 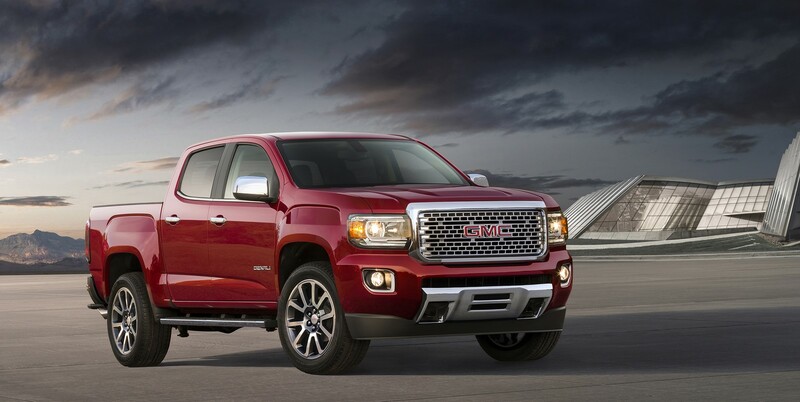 The All Terrain model requires the new 3.6L V-6/eight-speed automatic propulsion system. 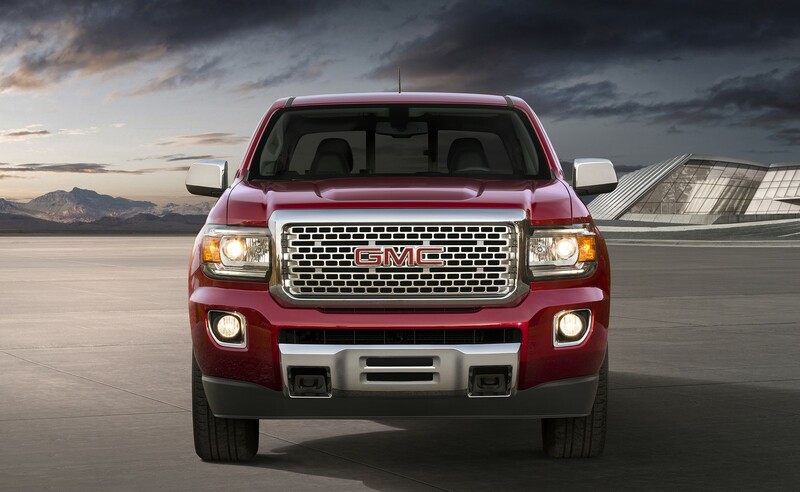 The 2.8L Duramax turbo-diesel engine is available. The new 3.6L/eight-speed propulsion system offers stronger, more confident acceleration and smoother shift performance than the Canyon’s previous V-6/six-speed combination, for greater refinement. 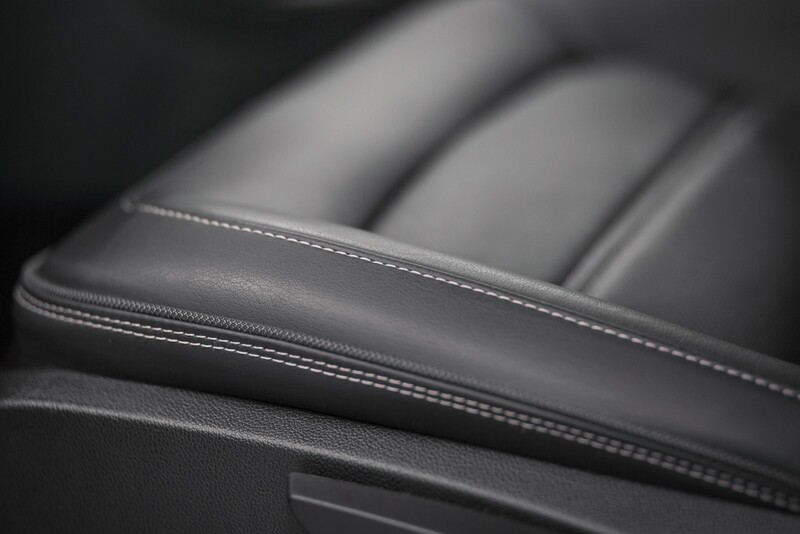 This new combination focuses on refining everyday driving performance including accelerating from a stop, passing on the highway and cruising at a constant speed. The 3.6L leverages technologies such as continuously variable valve timing, direct injection and Active Fuel Management (cylinder deactivation) to balance performance and efficiency. 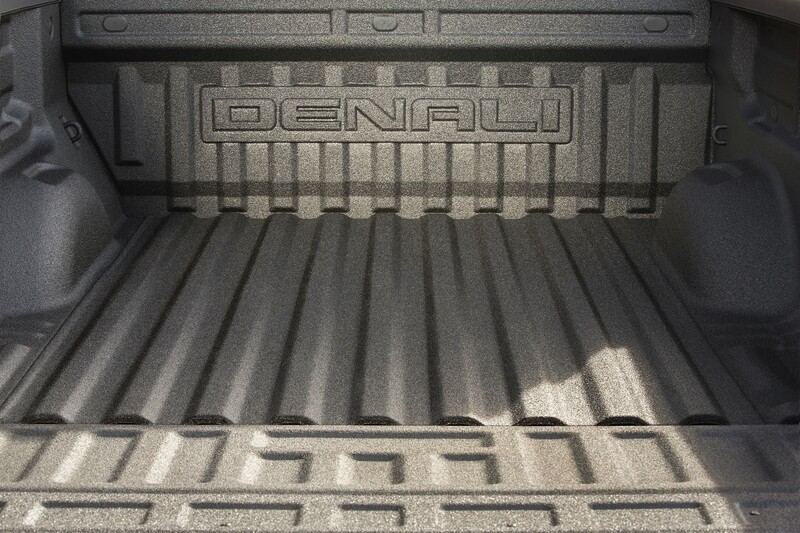 It is rated at an SAE-certified 308 hp (230 kW) and 275 lb-ft of torque (373 Nm). Canyon’s new Hydra-Matic 8L45 eight-speed automatic complements the 3.6L with a technologically advanced design and control system that supports smoother, more refined performance. Smaller “steps” between the gears as the vehicle accelerates allow the transmission to shift quicker, with almost imperceptible upshifts. The 8L45 eight-speed also has a wider 7.0 gear ratio that enables a numerically higher first gear ratio — helping drivers start off more confidently with a heavy load or when trailering — and numerically lower overdrive ratios that reduce engine rpm on the highway. A lower engine speed has two benefits: It can reduce fuel consumption to enhance efficiency and it reduces engine noise for a quieter cabin. 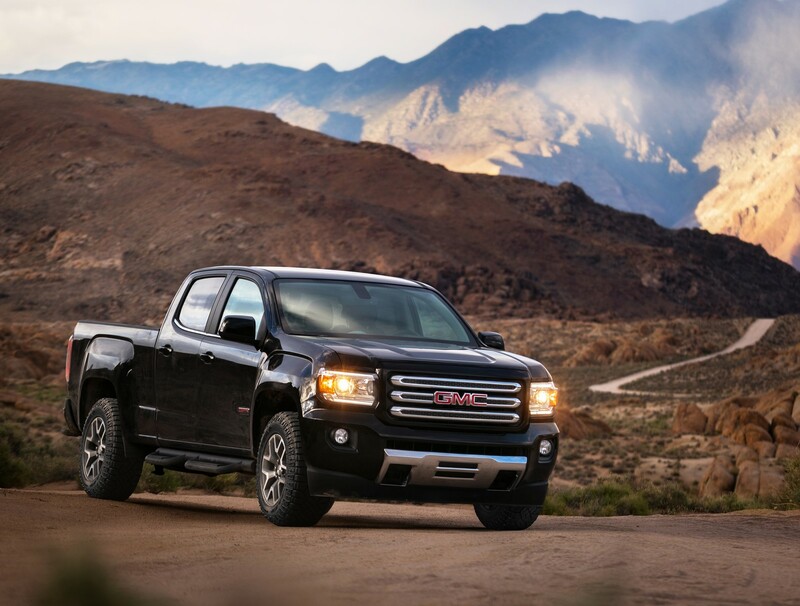 The new powertrain supports a 7,000-pound max trailering rating that is second in the segment only to the Canyon’s available 2.8L Duramax diesel, which is rated at 7,700 pounds. The 2017 model year updates, including the new V-6 and eight-speed combination, will arrive at dealerships in the fourth quarter of this year.